A Catholic priest has said the death of a colleague at the weekend has highlighted the growing pressures they face. Father Matt Wallace, from the parish of the, took his own life. 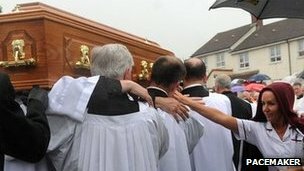 The funeral of the County Wexford-born priest was held in Belfast on Tuesday. It was told that the growing demand on a diminishing number of priests is physically and mentally challenging and for some it is become intolerable. Father Martin Magill, from the nearby St Oliver Plunkett parish, said fellow priests were stunned by the nature of Fr Wallace's death and he said the tragedy highlighted the difficulties facing many priests. "I suppose the word torture would come to mind to some extent when there are mental health issues, when we're battling with our own particular issues," he said. "It can be a sense of being plagued, it could certainly be a sense of being tortured as well." 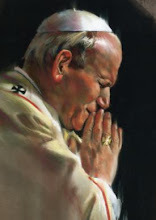 Fr Magill said the church and society now need to consider why a well respected priest like Fr Wallace could no longer cope with his own difficulties. Fr Wallace, 69, was based in west Belfast for four decades. His death followed a number of months on sick leave.